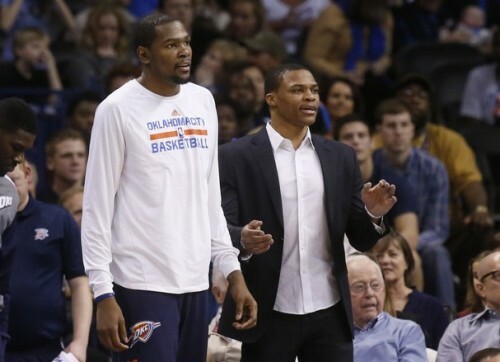 The Oklahoma City Thunder sent out a press release updating the Kevin Durant injury situation. 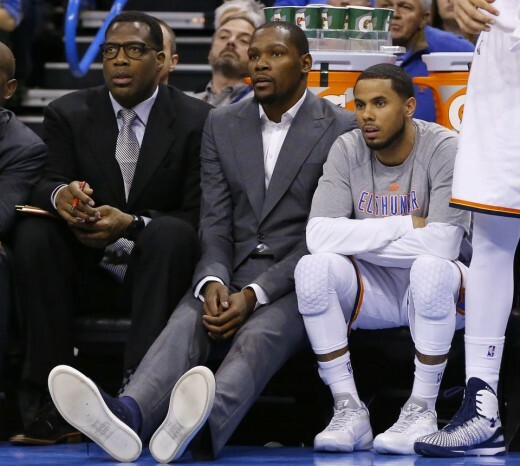 In it, Sam Presti stated that Durant’s original fracture of his fifth metatarsal was beginning to show signs of regression. After consulting with three medical experts, the Thunder and Durant’s camp agreed that he would have a bone-graft procedure to further assist in the healing process. 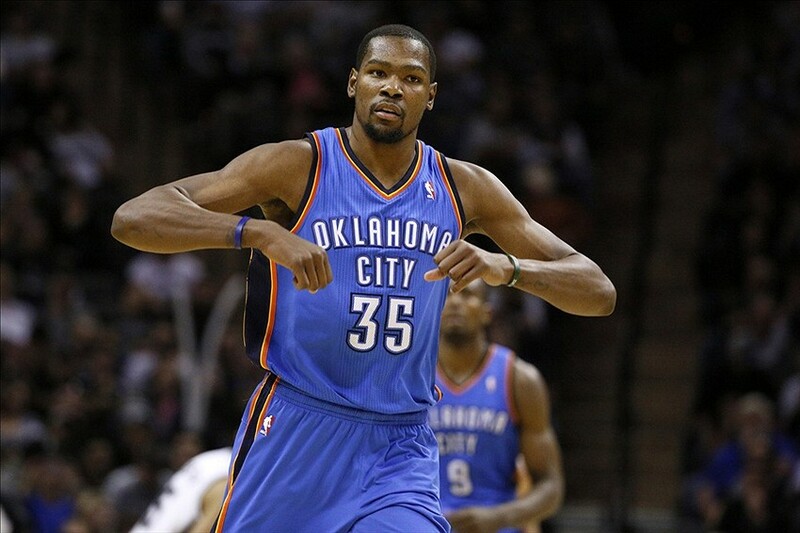 Durant is expected to return back to basketball activity in the next 4 to 6 months. The Thunder likely knew about this a week ago when Presti originally had a press conference to update the media on Durant’s progress. After further tests and scans, the original diagnosis was confirmed. 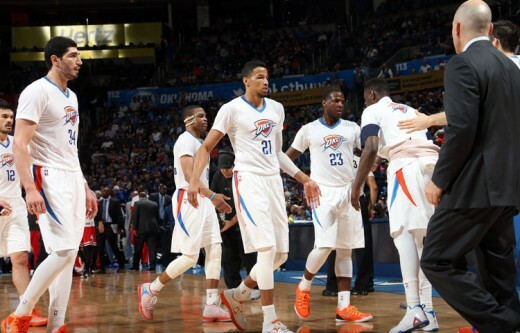 The Thunder currently sit in the 8th spot in the Western Conference, three games ahead of 9th place Phoenix. There are a lot of things not to like about this picture. 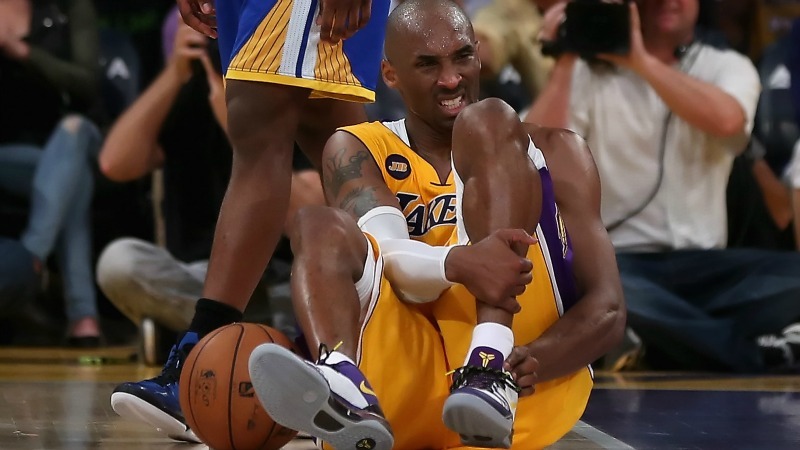 First of all, the face of the franchise (and the reigning MVP) is injured and will be in this state for at least the month of November. 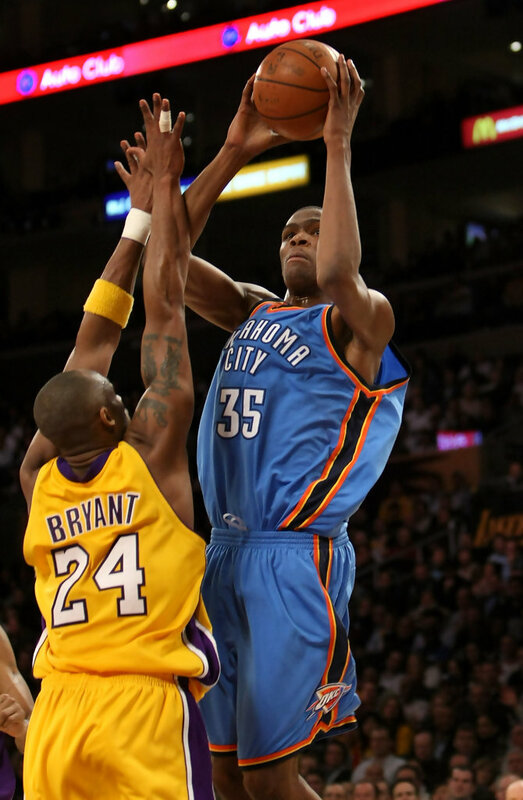 Secondly, our prized rookie, likely a match-up nightmare against many teams, is the mirror image of Durant. But if you look at that picture with the frame of mind that both will likely make a full recovery and won’t miss more than a quarter of the season, then there is plenty to like about this photo. First off, the kid-like innocence on both of their faces is priceless. 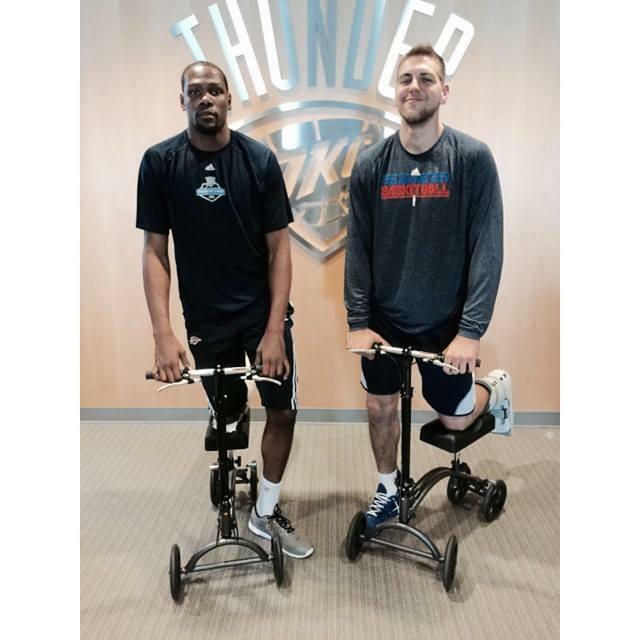 Durant’s face says “I like my new toy”, while Mitch McGary’s face says, “I’m ready to get in trouble on this thing.” Secondly, and most concerning, is why would you need handlebar pump brakes on this contraption. Are people actually racing these things at speeds that require pump brakes? Is it motorized? On second thought, let’s get these two off these things and put them in wheelchairs. Everybody take a deep breath. Count to 10. Back up off the ledge, and calm down. 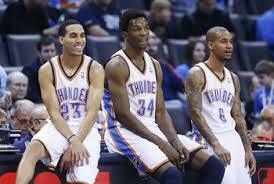 Heading into the All-Star break, the Oklahoma City Thunder were probably the hottest team in the league. They had won 15 of their previous 17 games, and had the look of being the best team in the league. Kevin Durant was Reaping, Serge Ibaka was becoming the best roller in the pick and roll NBA, Derek Fisher was hitting every game-changing 3 that he shot, and everybody else was handling their roles to a T. The weren’t just surviving while awaiting the return of Russell Westbrook; they were thriving. Sometimes, though, the worst thing for a team on a roll is a break. It happens all the time when teams head into halftime. Earlier this season, the Houston Rockets scored 73 on the Thunder in the first half of a game, but could only muster 19 total points after halftime. It happens in the playoffs, where a team may have a break of 4 or more days due to dispatching their opponent in quick fashion, and having to wait for their opponent to finish their series. And it may happen during the All-Star break, as it did with the Thunder, where a team goes in hot, but comes out of the break a little out of sync. 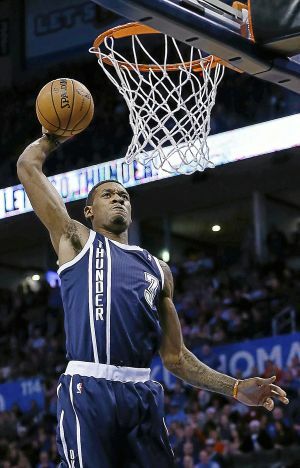 Here are a couple other factors that may explain the Thunder’s slow start to the unofficial second half of the season. In my experience working with the military, I’ve seen many cases where one spouse deploys while the other spouse stays at home to care for the house and the kids. During this period, the spouse that stays at home usually tightens the ship and sticks to a strict routine. This routine helps maintain order during a chaotic time (deployments). Eventually, the deployed service member comes home and all is great with the world, right? Wrong. There’s usually a period of adjustment where the deployed spouse has to get used to the routine the home-bound spouse has established, and the home-bound spouse has to get used to having another variable in her established routine. Talk to anyone who has gone through, and they’ll more than likely tell you that it was not an easy transition. In the Thunder’s past 71 games (to include last season’s playoffs and this season’s preseason), Westbrook has only been in the lineup for 26 of those games. 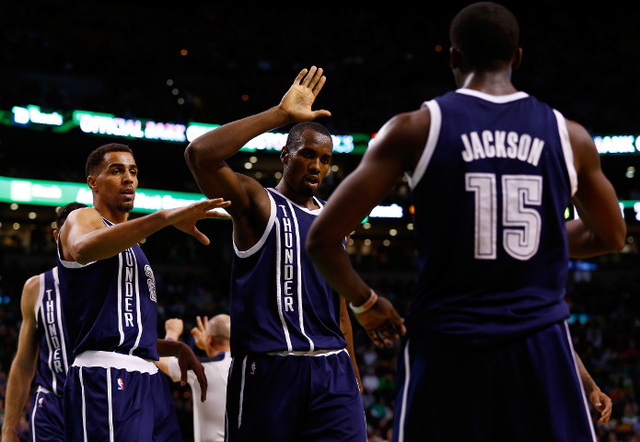 Despite early struggles, the Thunder have learned how to play without Westbrook. 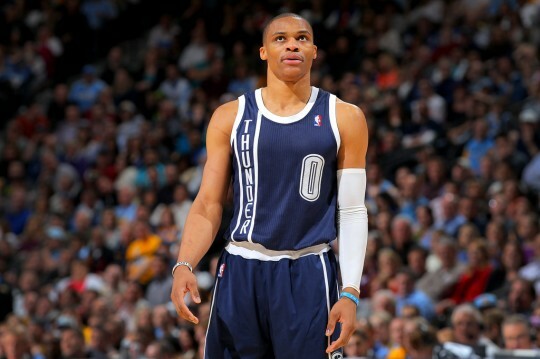 Since the game after the Christmas, the Thunder have posted a .750 winning percentage, all without Westbrook. To think that there would not be an adjustment period would have been short sighted. The Thunder have to be more careful with Westbrook this time around. 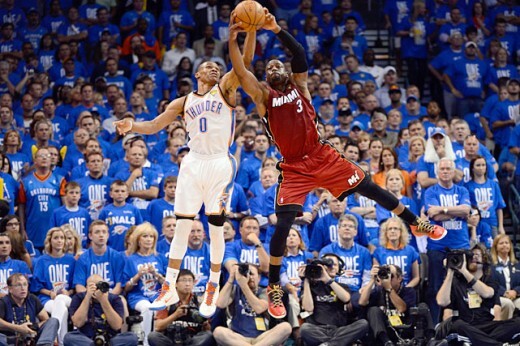 The last time Westbrook came back, he was full tilt from the get go. 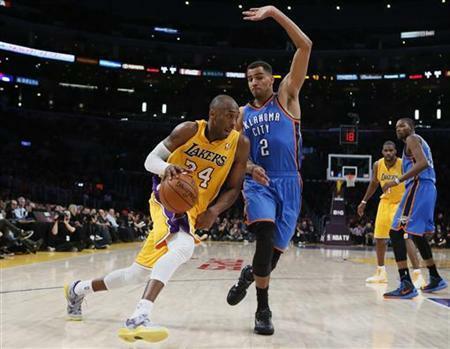 That may or may not have contributed to the setback that necessitated a third surgery on Westbrook’s knee. 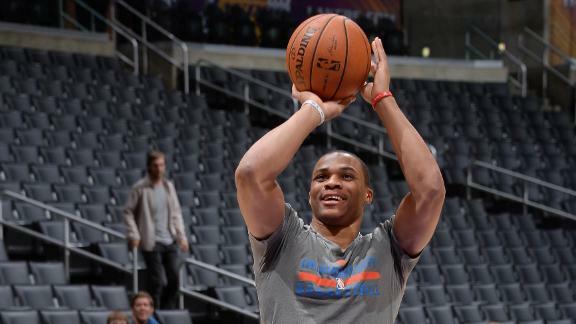 At the same time, Westbrook has to adjust to playing in shorter spurts. 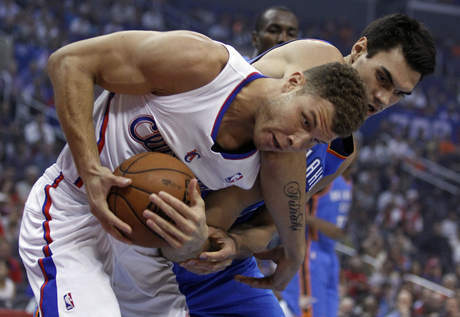 Westbrook is the type of player that continuously grinds until he wears the opposing team out. That takes time. Without that time on the floor, Westbrook’s effect is muted a bit. The starters and veteran bench players are playing nearly the same amount of minutes they usually play. 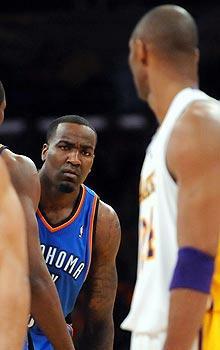 In fact, Durant is actually playing the least amount of minutes per game since the team arrived in Oklahoma City. 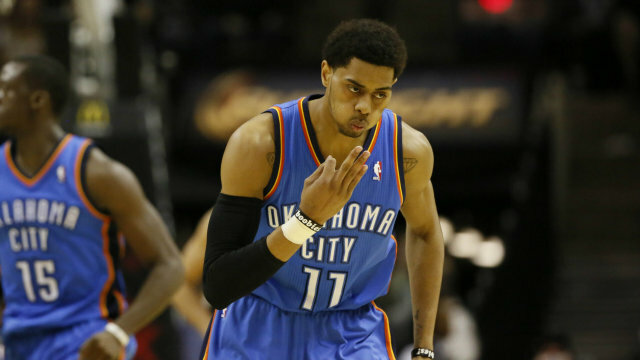 The fatigue issue is more geared towards the younger players in the rotation, namely Reggie Jackson and Jeremy Lamb. Those are significant jumps in minutes per game. Lamb and Jackson may not yet be used to the grind that is an 82 game season, and the Thunder may be seeing the effects fatigue has on their play. As mentioned before, the worst thing for a team on a roll is a break. 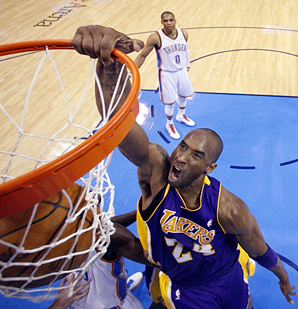 From the Christmas game to the All-Star break, the Thunder played either every other day or back to back. They only had one 2-day break in that time frame. While that leads to fatigue, it also leads to a rhythm. 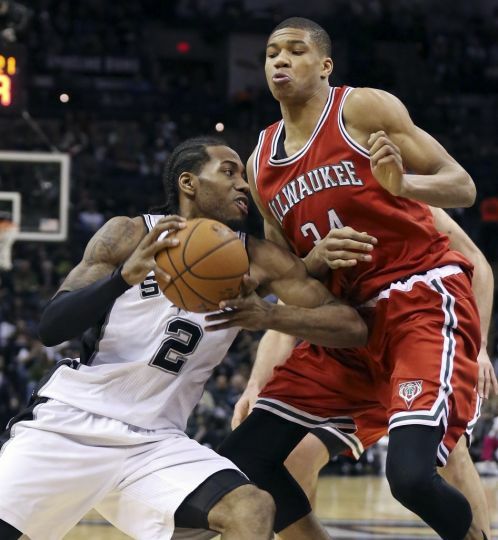 When you play nearly everyday, you tend to become much more in sync with your teammates. That “in sync-ness” then turns into chemistry. And if you have a talented roster, that chemistry can start to produce wins in bunches. That’s what the Thunder had in January and early February. Durant was Reaping, Ibaka was the mid-range king, and all the role players were performing their roles. Then came the week long All-Star break. While that week long break may have rested a nagging injury here or there, the rhythm and chemistry that was gained before the break was at risk to be lost. Add to that Westbrook returning from injury and several more 2 day breaks in between games, and you get what you see now: a team in a bit of a funk. National TV likes to see great teams matched up against great teams. New Flash! The Miami Heat and Los Angeles Clippers are pretty good team. It’s not like the Thunder were playing the Sisters of the Poor the first two games back from the All-Star break. These are 2 of the best teams in the league and we caught them when we were in a bit of a transition phase. I’m not usually one for excuses, but these are the realities of the current situation. The Thunder will make it out of this funk. But the season doesn’t stop. On the first game back from the break, with Westbrook finally back from injury, the Thunder lost center Kendrick Perkins for up to 6 weeks due to a strained groin that had to be surgically repaired. He should be back by the start of the playoffs. But the season marches on. In the grand scheme of things, these last two games were just 2 of 82. 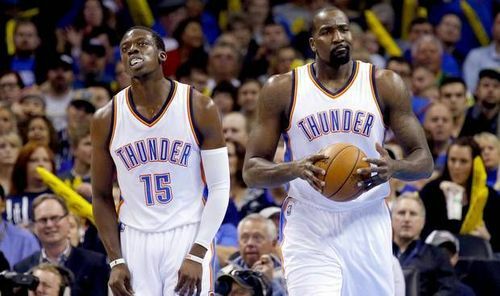 Look for the Thunder to readjust and get better in time for the playoffs.